Bottled from only 100 barrels hand-selected for their character, it is a toast to an icon and a life well lived. We are pleased to introduce Jack Daniel’s Sinatra Century, one of the most limited Tennessee whiskeys we have ever released. Aged in distinctively crafted barrels, our 100-proof whiskey is delicately balanced for smoothness. The interior grooves of the barrel coax the whiskey to greater depths of white oak and give the whiskey a complexity of flavors - imparting Sinatra Century with a robust and refined taste. Encased in a unique collector’s box, every bottle of Sinatra Century is accompanied by a previously unreleased soundtrack as special as the whiskey itself. Available now in select duty free airport stores around the world. Sinatra Century ™ is a trademark of Frank Sinatra Enterprises, LLC, licensed to Jack Daniel's ™. 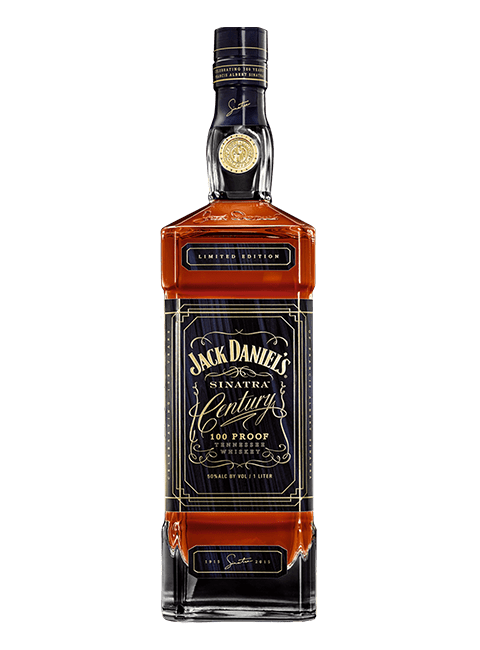 © 2018 Jack Daniel's. All rights reserved.